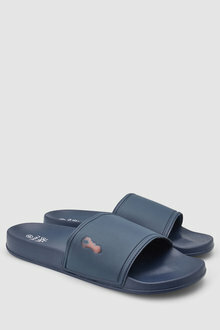 Keep your feet cool this summer with a pair of easy slip-on sandals from EziBuy. Our range of men’s sandals include sliders and toe posts, made of different fabrics and styles perfect for the warmer months. 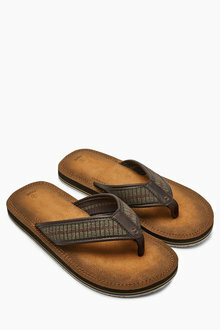 Whether you’re by the pool or down at the beach, our range of men’s sandals will be easy to slip into and out of. 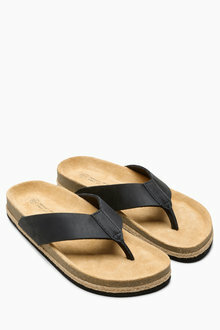 Choose from sturdy rubber slip ons or go for our leather toe-post shoes - the classic flip flop. Our Next tan and leather sandals are the perfect explorer’s shoes, great to pair with jeans and a casual shirt for an ever-so-slightly more upmarket event. Or for those who love comfort above all else, our waterproof and durable pool sliders are just what you need - so comfortable you’ll barely notice you’re in them, yet easy to take off in a pinch. Plus they look great with shorts - the ultimate holiday outfit! 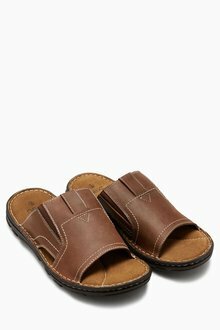 Browse our range of men’s sandals online today and get your wardrobe ready for summer!